The ultimate sewing guide for creating your own workout clothes that are both functional and stylish. Fully illustrated step-by-step tutorials covering everything from beginner techniques to professional fashion industry methods. More and more fabric companies are selling activewear fabrics and notions and many ship world wide. This list of international sports fabric vendors is updated regularly. Looking for more activewear pattern? Here is a big list of companies that make sewing patterns for athletes. 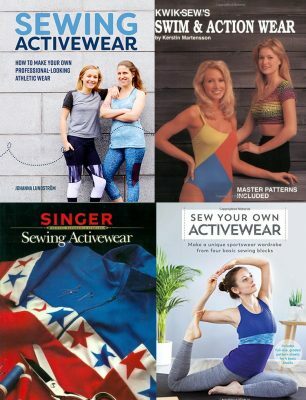 Want to learn even more about sewing activewear? Then check out this list of books, websites and other valuable resources. I sew a lot of activewear and do a lot of tutorials too about different techniques.